Martina Hoffinger of Arte Aurelia gilding company restores letters on the Soviet Memorial at Schwarzenberg square, in Vienna, Austria, on April 11th, 2018. The Soviet War Memorial was built to honor the soldiers of the Soviet army who died for the liberation of Austria from fascism. 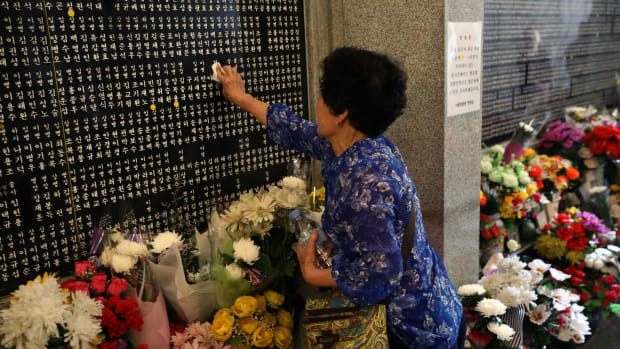 A South Korean woman touches the engraved name of her older brother who died during the Korean War at Seoul National Cemetery. 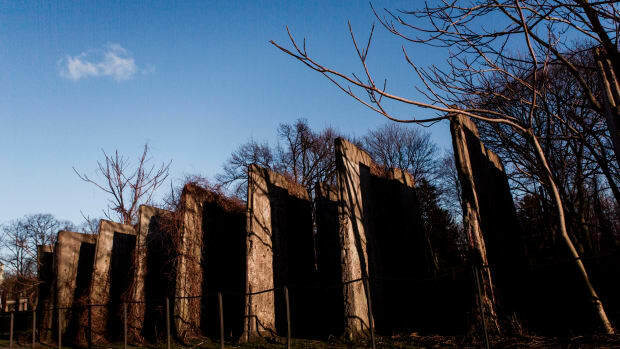 Remains of the former border wall stand at the Berlin Wall Memorial at Bernauer Strasse on February 5th, 2018, in Berlin, Germany. 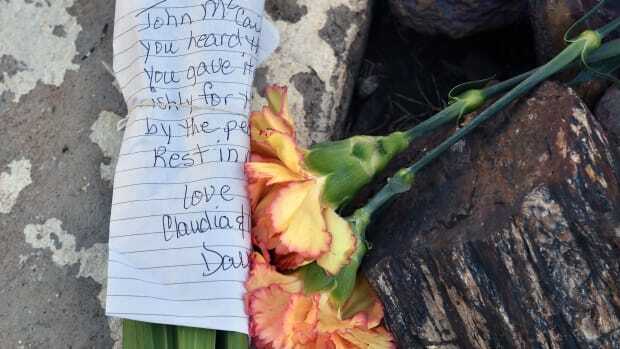 Flowers and notes are placed in tribute to Senator John McCain outside a mortuary in Phoenix, Arizona, on August 26th, 2018. 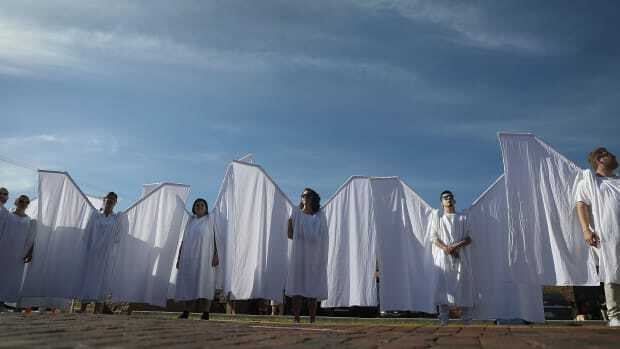 People dressed as angels stand in front of the memorial set up for the shooting victims at Pulse nightclub on June 12th, 2018, where the shootings took place two years ago in Orlando, Florida. 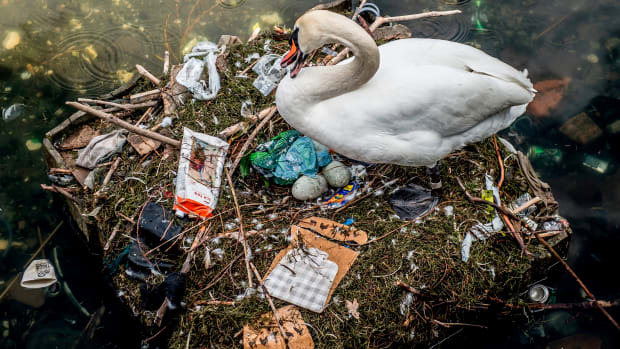 A swan sits in its nest in a lake near Queen Louise's Bridge in central Copenhagen, Denmark, on April 17th, 2018.